For the dissemination activities small leaflet in a form of project business card was designed and printed. We have prepared it in all partners’ languages to maximase the scope of disseminating the project results. 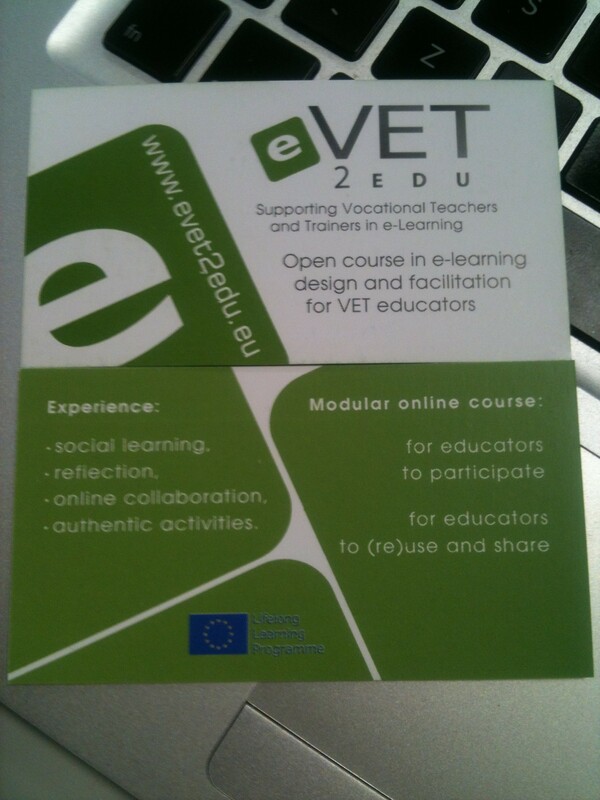 National versions of b-card will allow us to contact VET teachers and trainers on local events organised in partners countries for VET sector. The concept map of the course released! 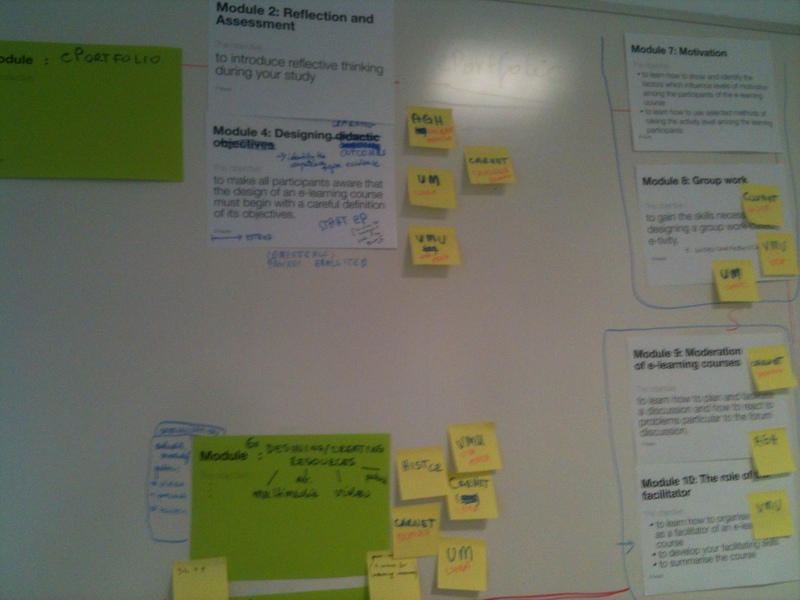 Effective work during the first day of 2nd project meeting at University of Murcia brought about a map with draft structure of the online course that we are going to revise in next months. e-portfolio – this module will be horizontal one. We are going to incorporate e-portfolio process as a framework for the whole course. By this we mean evidence-based approach to design each module.